From the five-piece band that put out their debut EP, the line up has been streamlined to Bobby Houston on vocals and guitar, Mike Barford on lead guitar and keyboards, and Mike Strizic on vocals and bass. For a three-piece outfit- albeit calling in a few friends for support on a few of the tracks- they produce a nicely thick texture of sound. There are six tracks on the new release. You can hear shades of nineties Euro-pop in the arrangements and the tonal range, but Simcoe puts their own stamp on the music with hooky songwriting skills. “Half Awake” is the latest single, the lyrics an airy meditation on a lost love sung over a solid rhythm section. It’s easy to use electronic sounds these days; it’s harder to make really compelling music out of it. 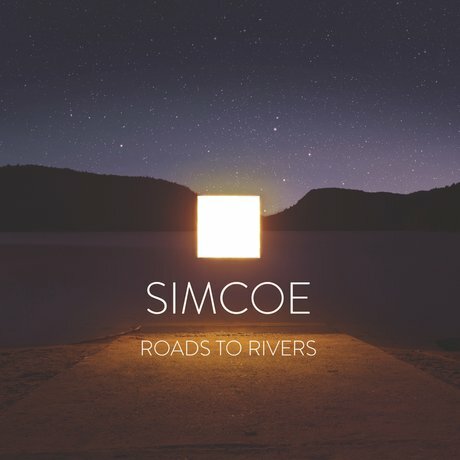 As a band, Simcoe is developing an appealing style that adds flesh and blood to electronic tones and sounds in a way that feels organic. “London” was one of the first singles from the EP, a track driven by a kinetic energy. It’s melodic pop with a sense of purpose, an upbeat vibe, and shimmery electronics that make it earworm material. “The Road” grows with a slow and steady build. There’s a throbbing synth track underneath, with the vocal line soft and ethereal on top of it. It’s an atmospheric track that builds in layers- an element that’s part of their signature sound. “Turn out the Lights” is a stand out track, adding a funky groove to the usual keyboard-driven texture of their sounds, along with soprano backing vocals by Emily Coulston (who sings throughout the CD). It adds to the sense of moody romanticism that Simcoe excels in creating. Together since 2014 and based in Toronto nowadays, the band says they are still rooted in the small towns they came from. Simcoe is spending most of their time on the road through the rest of 2017 and beyond supporting the new release.